Become the life of the party in Sherri Hill 52379. This vibrant, satin party dress has a V-neckline, cinched waist, and spaghetti straps, which frame the square back, and zipper closure. The classic, short, A-line satin skirt has side pockets, for a modern touch. 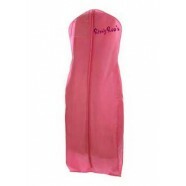 Dance all night in this dress at a birthday celebration, graduation party, or homecoming dance.